As the Trump administration juggles multiple crises including massive storms in the Gulf and Caribbean and the country’s worst mass shooting in our history, there is an older threat that has once again become relevant: North Korea. Pyongyang, which has been working overtime to develop nuclear weapons and the capacity to deliver them via ICBM to North America, threatened recently to attack the United States with an electromagnetic pulse weapon that, if successful, would fry most of the country’s electric grid and turn the continental U.S. into one giant Puerto Rico — which lost all of its power grid when it was destroyed by Hurricane Maria. As reported by InHomelandSecurity, U.S. intelligence, national security, and federal law enforcement officials have been warning that the American power grid is vulnerable to an EMP attack. The most recent high-level warning came in part from former CIA Director James Woolsey, who co-authored an article with Dr. Vincent Pry from the Task Force on National and Homeland Security in March claiming that an EMP attack on the U.S. would kill up to 90 percent of Americans within a year. “Tensions between the U.S. and North Korea have reached a fever pitch. North Korea continues to test its nuclear capability and threatens the U.S. with an EMP attack. But is the United States taking the North Korean threat seriously or is it even addressing it?” reported InHomelandSecurity. Noting that the recent storms in Puerto Rico, Texas, and Florida have highlighted just how vulnerable and “antiquated” the U.S. power grid is in many parts of the country, John Ubaldi, writing for the website, said it is important to look at who is responsible for protecting the country’s critical infrastructure. Ubaldi said that in the meantime, national defense officials are responsible for protecting the grid, in large part because they are naturally responsible for defending the country in general. 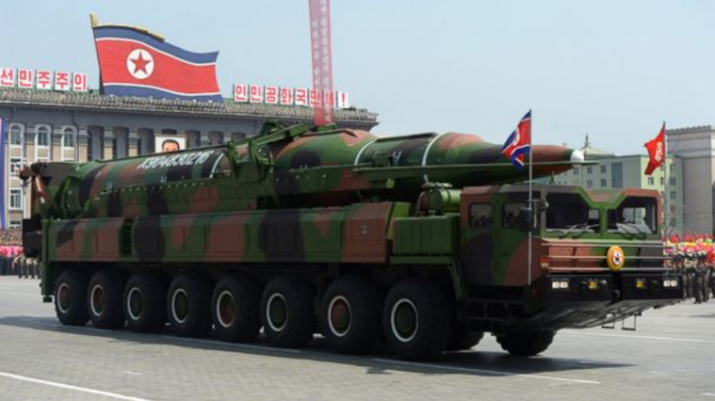 At present, the Pentagon is working to strengthen U.S. missile defenses along the West coast and in Alaska, were interceptor missiles are on 24-hour standby alert, as that direction would be the most likely approach for a North Korean nuclear-armed ICBM. …[G]iven that high-altitude nuclear tests were prohibited as per a 1963 treaty, from the U.S. side, there is little scientific data to understand the devastation of a detonation on modern infrastructure. That said, the potential fallout from such an event would be catastrophic and worse, the U.S. could respond in kind but it likely wouldn’t have the same effects because North Koreans, who pride themselves on their ability to be resilient, have a far less extensive power grid and as such would not be proportionately disrupted by its destruction. “All of the functions communities rely upon — hospitals, water, waste, transport, telecommunications, air control, medical care — could potentially be decimated for not days and weeks, but months or years,” Fox News reported. But the North Koreans may not give us the time to ‘mitigate’ such a devastating attack.